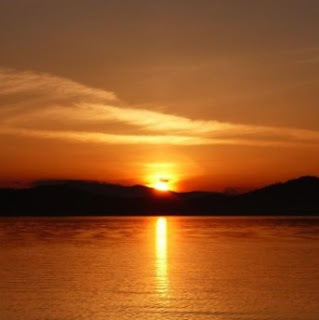 Joyce Sasse - We North Americans have made it past another “longest night of the year”! How appropriate that the birth of the Holy Child should be celebrated in these days as a coming-of-Light time. 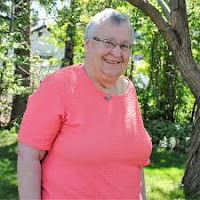 The wording came in the midst of struggles about how the United Church of Canada could be “more inclusive” in its thinking and practises. The “New Creed” is a Statement of Faith which tries to affirm what God’s presence means in the lives of believers and communities of believers in contemporary times. RCMP Alberta - High River RCMP are seeking the public's assistance after a suspected firework exploded damaging a vehicle just south of High River. On Sunday December 23, 2018, at approximately 5:30 am High River RCMP were called to a grass fire and damaged vehicle on the off ramp from 498 Avenue exiting onto Highway 2 northbound. Upon arriving, High River RCMP members spoke with the driver of the damaged vehicle who reported seeing a small object burning on the shoulder of the off-ramp. The driver stopped to stomp out the small fire when it exploded next to his driver`s side door damaging the vehicle and starting two separate grass fires. The High River Fire Department was able to extinguish both fires an no one was injured. RCMP Alberta - On December 25, 2018, Claresholm RCMP were made aware of a stolen vehicle from Okotoks that was equipped with GPS tracking. It was located at a residence in Claresholm. RCMP members then tracked the suspects to a second location within Claresholm. A search warrant was conducted on a house in Claresholm, where drugs, stolen property, stolen identifications and weapons were located. 4 males and one female were arrested. A total of 45 new charges were laid, plus warrants for arrest on these individuals where they will be facing an additional 27 charges from other jurisdictions. 24 of these additional charges are against Michael Wayne Bolt, including being Unlawfully at Large. May we forever remember those who have passed and remain in our hearts always! RCMP Alberta - On December 18, 2018 Cardston RCMP investigated alleged extortion and assault of an individual from Cardston. Through the investigation it was learned that the individual had been assaulted over a period of three months and extorted out of approximately $8000. She has been released from custody and will be appearing in Cardston Provincial Court on Jan. 7, 2019. Alberta Health Services - The holiday season can be a joyful time, but it can also bring challenges that lead to stress and anxiety. Don’t be afraid to reach out for help. Addiction Services Helpline – This service provides help for problems with gambling, alcohol, tobacco and other drugs. The service is available 24/7 by calling 866-332-2322. Addiction and mental health walk-in counselling services – This service provides information, prevention and treatment for alcohol, tobacco, drugs, mental health and gambling, as well as referrals to inpatient treatment services if needed. In Lethbridge, walk-in services are located at 103, 200 5 Ave. S. Call 403-381-5260 for more information. In Medicine Hat, walk-in services are located at 2, 346 3 St S.W. Call 403-529-3500 Ext. 1 for more information. Canadian Mental Health Association Distress Line – This service provides support for individuals experiencing a crisis. The service is available 24/7 by calling 888-787-2880. Health Link – This service provides health information and advice from registered nurses. You can reach Health Link 24/7 by calling 811. Kids Help Phone – This service is free, anonymous and confidential and provides telephone and web counselling for youth in Canada. The service is available 24/7 by calling 800-668-6868. Mental Health Helpline – This service provides crisis intervention, information about mental health programs and services, and referrals to other agencies if needed. The service is available 24/7 by calling 877-303-2642. 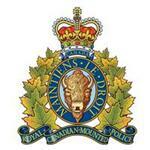 RCMP Alberta - On December 17, 2018 at approximately 12:00 pm the Cardston RCMP responded to a robbery in Cardston, Alberta where an elderly female was threatened with a weapon, assaulted and robbed of her vehicle and wallet at her residence. The victim was transported to hospital for treatment and released soon after. The victim's bank cards were then used multiple times and the police were able to positively identify the person responsible from surveillance video. 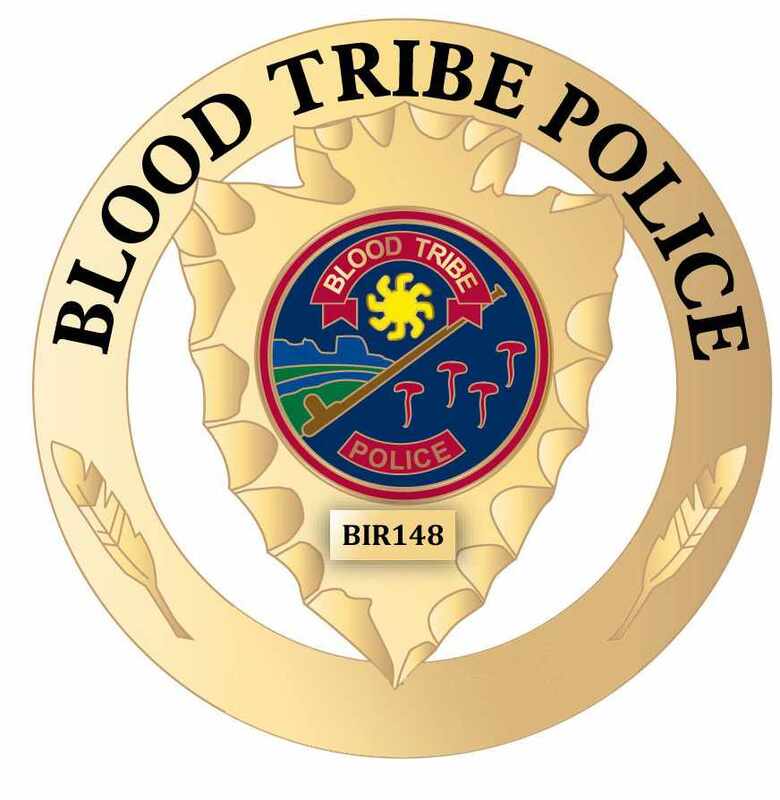 Cardston RCMP and Blood Tribe Police Service were able to locate the stolen vehicle in Stand Off, AB and arrested the male responsible for the offence. Riley Mistaken Chief, age 26, of Brockett, AB is currently charged with numerous offences and will make a court appearance on December 20, 2018 at Lethbridge Provincial Court. RCMP Alberta - On December 10, 2018 at approximately 7:17 am, Turner Valley RCMP received a call from a resident on 252 Street W in Priddis, AB. The homeowner had been woken up by their dog who was acting up. 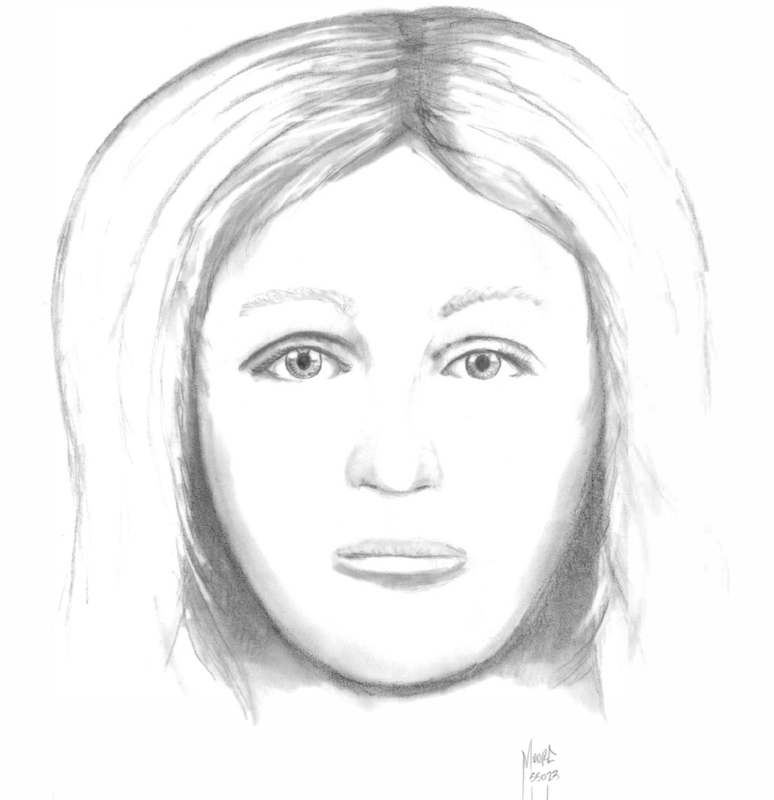 A black car was observed, unattended, left running in the driveway. Another vehicle drove down the laneway from the outbuildings shortly after. A female driver, who identified herself as "Haley", claimed that she and her boyfriend were out looking for their dog. The homeowner located two males inside the barn, going through items in a room. When confronted, one of the males advised that they were leaving and they all departed without incident. Joyce Sasse - The prelude to Christmas starts with Mary, a young unmarried peasant girl, finding herself pregnant and scared. Luke, the Gospel writer, gives background to the time leading up to the event that, to this day, celebrates Christ’s birth. (Luke 1:39 – 56) . Mary’s pregnancy was supposed to be a blessed event, he tells us, but she felt confused and alone. 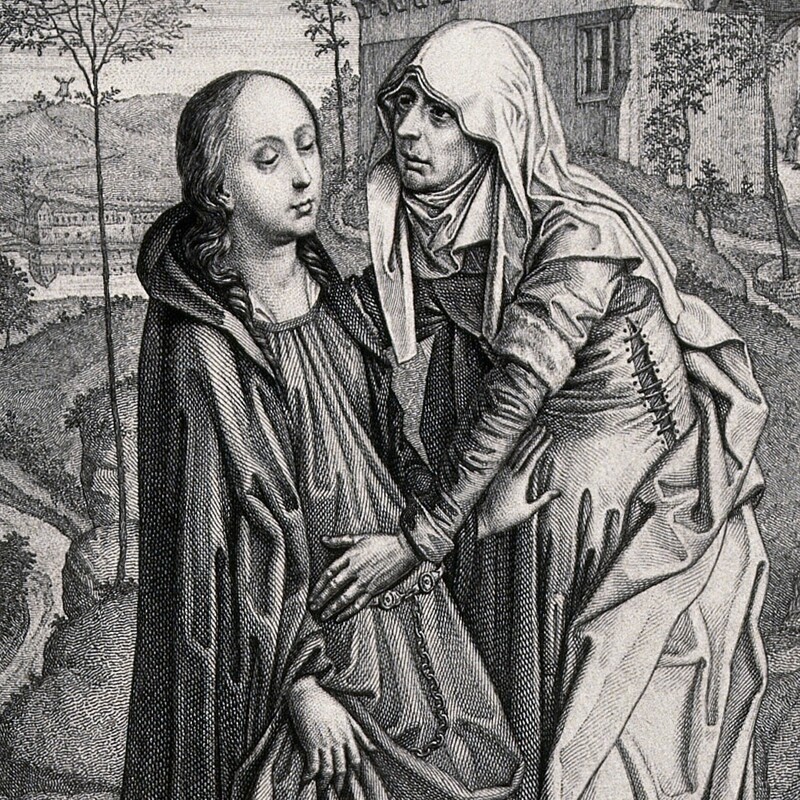 In her despair she remembered Elizabeth, an older relative known for her wisdom, and went to seek advice from her. Joyce Sasse - A book of stories beautifully written by and about the Hutterite people, was a precious gift I received this Advent Season. As I read it, I am reminded how important story-telling is in helping us build peaceful relationships. 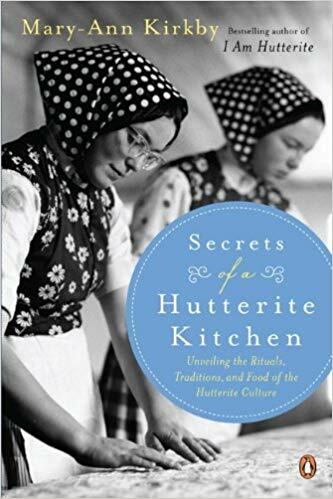 In “Secrets of a Hutterite Kitchen” Mary-Ann Kirkby tells about the traditions, rituals, food culture and lives shared in a number of colonies across Western Canada. We can almost hear the laughter and singing as the women cook and clean, plant their gardens and slaughter their poultry. Many is the time the author is reminded of her own colony roots – from before her family left their colony when she was aged-ten, and from the traditions carried on by her parents during her growing-up years. 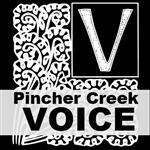 The Town of Pincher Creek held its annual Winter Lights and Decorating Challenge social on December 12 at Kootenai Brown Pioneer Village. An awards ceremony was held, with the top Residential prize going to Gary and Wendy McAllister of Wilderness Crescent. Dexter Oilfield had the top Business display. An online map of some great lights locations around town has been created, click here for that. A list of the winners and best streets to visit is below. 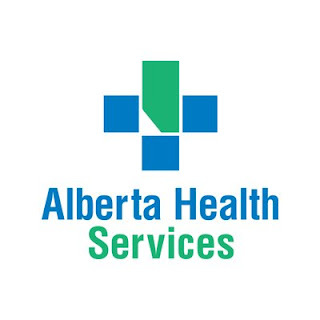 Alberta Health Services - Alberta Health Services (AHS) has ratified a three-year collective agreement with the Alberta Union of Provincial Employees (AUPE) Auxiliary Nursing. The three-year retroactive agreement expires on March 31, 2020, and sets out terms and conditions for the diverse group of employees, which includes licensed practical nurses and health care aides who provide care in AHS hospitals and other healthcare facilities. 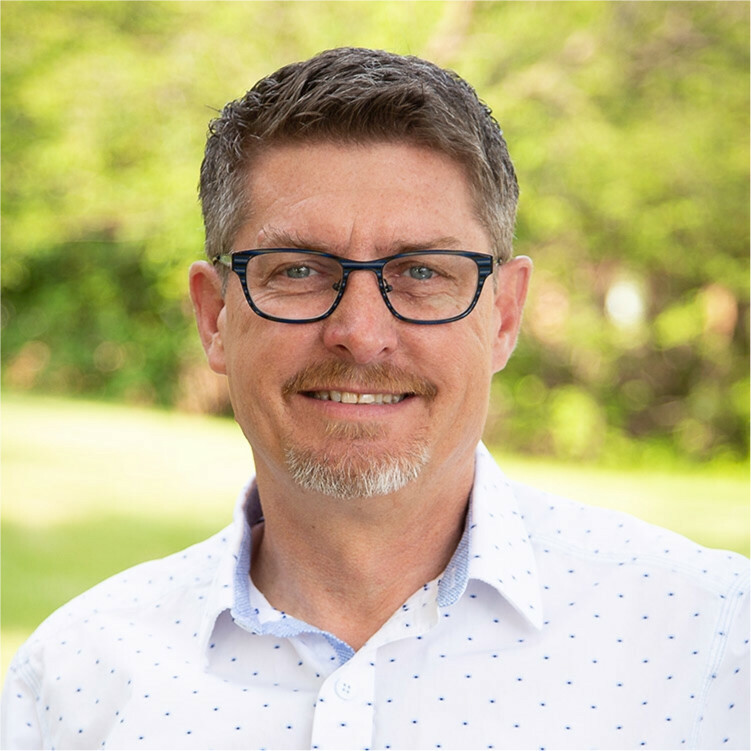 “We are pleased to reach an agreement that recognizes the important role these employees play in the delivery of patient- and family-centred care at AHS,” says Todd Gilchrist, Vice President, People, Legal & Privacy. The agreement includes a salary freeze for two years with a requirement to negotiate wages in the third year. December 14, 2018 - The Canadian Food Inspection Agency has issued an updated national Food Recall Warning for Eat Smart brand Salad Shake Ups (single serve), due to possible Listeria monocytogenes contamination. RCMP Alberta - The Alberta RCMP is aware and investigating email bomb threats that were sent to multiple businesses in communities throughout Alberta. The email threats are demanding Bitcoin payment. If you have been the recipient of one of these email threats, please do not respond to the Bitcoin demand. The RCMP is determining the origin and validity of the threats. Editor's note: Similar story in the U.S.A.
RCMP Alberta - Crowsnest Pass, Claresholm, Fort Mcleod, and Nanton RCMP detachments are advising motorists that travel on Highway 2 and Highway 22 is not recommended for any large light vehicles - RVs / empty tractor trailers due to extreme winds. Police have responded to numerous large vehicles that have blown over. Crowsnest Pass and Nanton detachments are currently dealing with a semi blocking Highway 22 and have closed the road until the semi is cleared. Crowsnest Pass and Nanton RCMP detachments advise Highway 22 is now cleared of the semi collision. Due to high winds on Highway 2 and Highway 22, travel is still not recommended for any large light vehicles, such as RVs and empty tractor trailers. Police are still in the area dealing with numerous collisions. Please use caution and slow down when approaching emergency vehicles. RCMP Alberta - Today, Alberta RCMP Traffic Services discussed the impact of the upcoming legislation of part two of Bill C-46 on police delivery, which will put Mandatory Alcohol Screening (MAS) into force on Dec. 18, 2018. On December 1, the RCMP participated in National Impaired Driving Enforcement Day, a Canada-wide initiative that brings together RCMP officers and Alberta Sheriffs on patrol to remove impaired drivers from the road. A total of 11, 895 vehicles were checked. On this day alone, Alberta RCMP laid 23 charges for impaired operation by alcohol and two charges for impaired operation by drug. We can't allow these numbers to continue to grow, or exist. Next week, the alcohol-impaired driving reforms will give police additional authority to detect and remove all instances of impaired driving. 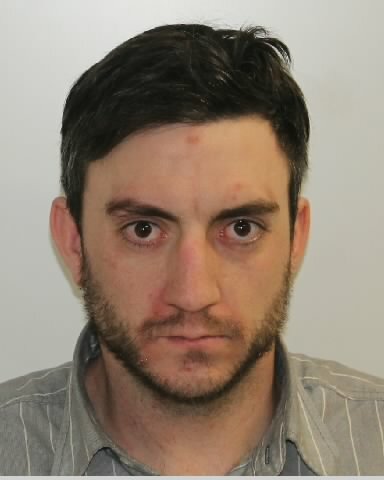 High River RCMP - High River RCMP are seeking the public's assistance to locate a 30-year-old male wanted on outstanding charges. On Friday November 30th, 2018 Cole Stuart McLean was released from prison and was bound by a Probation Order with a number of conditions. McLean failed to comply with his conditions and is currently wanted on an outstanding arrest warrant for two counts of failure to comply with a Probation Order. McLean's whereabouts are currently unknown and he is known to travel throughout southern Alberta. Police are encouraging any members of the public who have information on this or any other crime to contact the High River R.C.M.P. detachment at 403-652-2357. If you wish to remain anonymous, you can contact Crime Stoppers by phone at 1-800-222-8477 (TIPS) or by internet at www.tipsubmit.com. You do not have to reveal your identity to Crime Stoppers and if your information leads to an arrest, the recovery of stolen property and/or the seizure of illicit drugs you may be eligible for a cash reward. Joyce Sasse - My friend, normally a faithful chorister and church attender, absolutely hated attending the Christmas Eve Candle Light Service. Her complaint? In her city congregation the tradition was for individuals to walk to the front in family clusters to light their candles. It meant she had to walk down the central aisle of the church alone. This careless oversight caused pain. “Over two days of voting, more than 880 United Conservative members in Livingstone-Macleod cast ballots for their preferred candidate for the next election from amongst three great contestants. I would like to congratulate Roger Reid on winning this highly competitive race. Blood Tribe Police Service - On November 28, 2018, members of the Blood Tribe Police Service executed a Search Warrant at a residence in the Moses Lake community of the Blood Indian Reserve. 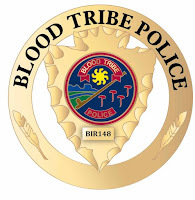 Police have arrested and charged Dakota Laderoute of Edmonton & Leanne Ternes of Cardston, with Possession for the Purpose of Trafficking Cocaine & Methamphetamine, Possession of Proceeds of Crime & Trespassing as per the Kainai Trespass Act. Police seized 21 grams of Crack Cocaine, 3 grams of Methamphetamine, cell phones & $830 in Canadian currency. 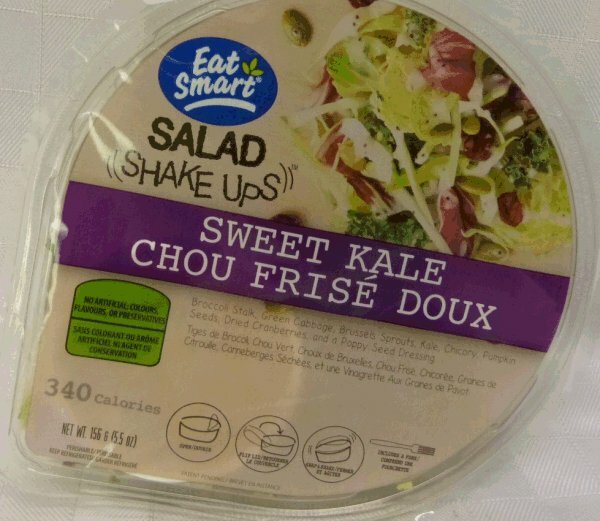 Canadian Food Inspection Agency - Industry is recalling Eat Smart brand Salad Shake Ups – Sweet Kale from the marketplace due to possible Listeria monocytogenes contamination. Consumers should not consume the recalled product described below.